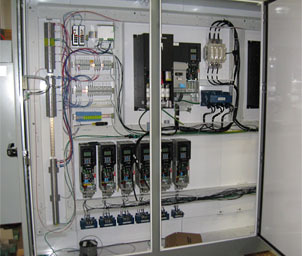 Design and construction of all of our electrical panels is performed in house. The systems are fully tested prior to shipment to reduce the start-up time of a project. Our panels meet strict NEC and NFPA codes. We also provide CAD based electrical schematics with all of our panels.